Look closely in the produce aisle and you might find this long ivory root next to its more familiar relative, the carrot. Sweet and creamy, this often overlooked root vegetable deserves its own spotlight. Not unlike carrots, parsnips deliver a hefty nutrition punch. They are a good source of vitamin C, potassium and folate. Fiber fanatics will be happy to hear that just one cup of parsnips provides almost 6 grams of fiber! 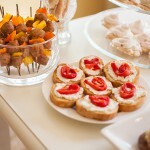 Parsnips are versatile and can be enjoyed in many of the same ways you’d prepare carrots or potatoes. 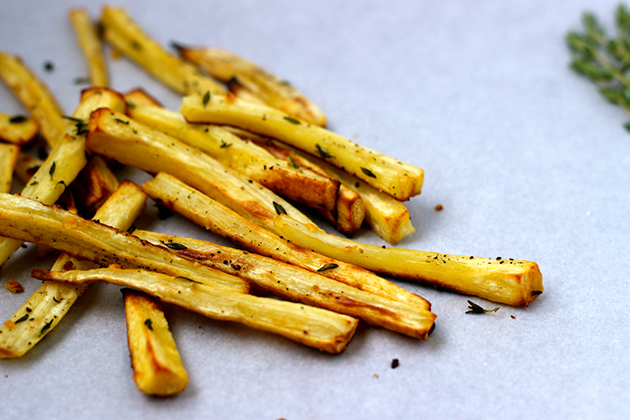 For the parsnip fry recipe below, I roasted the parsnips to bring out the natural sweetness. But that’s just a start. 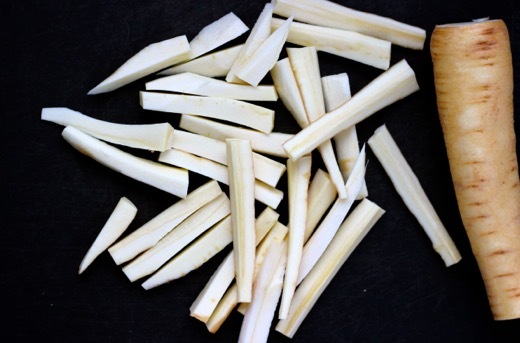 Boil parsnips to create a deliciously smooth soup or julienne young parsnips for a sweet and crunchy slaw. Parsnips may soften a little faster than other root vegetables so add them during the last 20 minutes of cooking when making stew or soup. Smaller parsnips are the most flavorful and tender while larger ones tend to be more fibrous and tough. Though you can find them year round in some supermarkets, parsnips are sweetest after a frost. So the cooler months are the peak season. 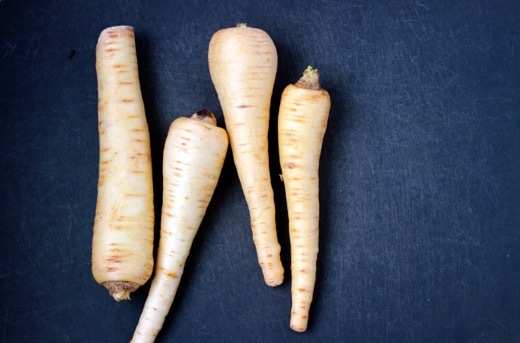 Look for ivory colored, blemish-free parsnips that are firm. Store fresh parsnips in the refrigerator crisper for as long as 2-4 weeks. With a slightly sweet and nutty flavour, these baked parsnips fries trump ordinary French fries when it comes to healthfulness. Using the KitchenAid® 12″ Convection Digital Countertop Oven, means there no need to deal with a vat of hot cooking oil to get the crispy texture we love in French fries. And at well under 200 calories per serving, you can have an entire portion of these parsnip fries to yourself with absolutely no guilt! When I initially wrote this recipe, I thought I’d have to roast the fries much longer to reach the crispy golden brown finish. Not the case. 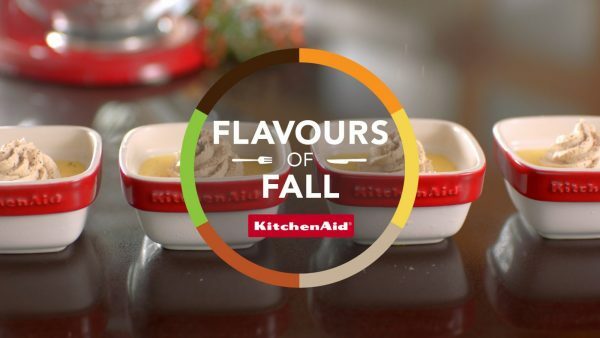 Using the KitchenAid® Convection Digital Countertop Oven made this recipe quick and easy. Let’s get to it! Wash and slice the parsnips into 1/2-inch strips. If you want thicker fries, that’s fine. 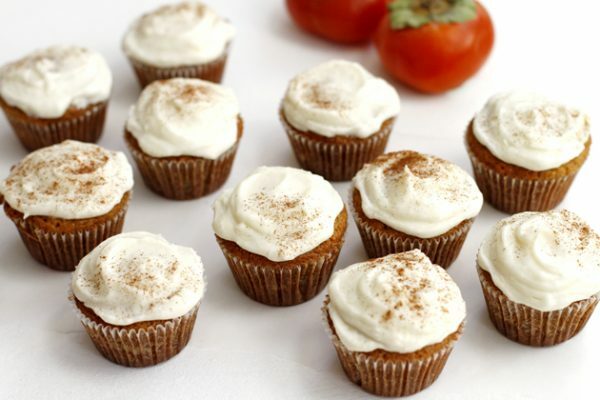 Just bake them a little longer to reach the desired tenderness. Combine the olive oil, garlic and thyme in a medium bowl. Toss to coat all parsnip strips. 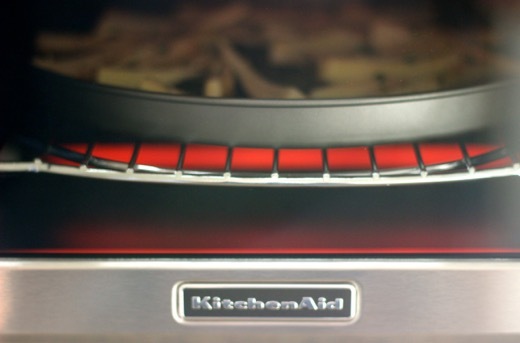 Preheat your KitchenAid® 12″ Convection Digital Countertop Oven to 425°F with convection turned on. 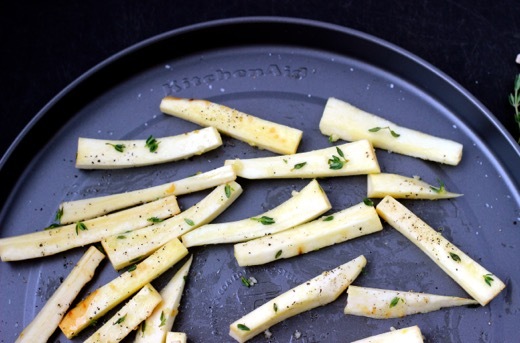 Spread the dressed parsnip fries onto the included nonstick pan in a single layer. Press the convection button if you haven’t already. Put the parsnip fries in the preheated oven. Bake at 425°F for 15 minutes, turning once. 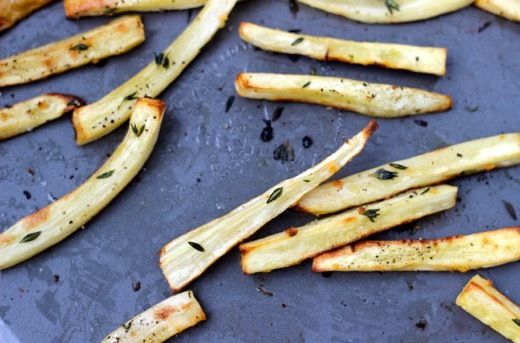 Serve the Thyme Roasted Parsnip Fries warm. 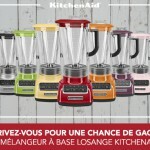 Set the KitchenAid® 12″ Convection Digital Countertop Oven to bake at 425°F. Press start. 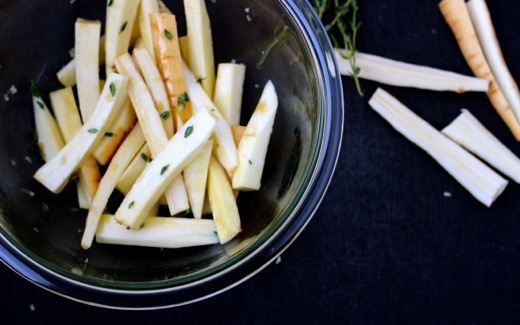 While the oven is preheating, slice the parsnips into 1/2-inch strips. Whisk together olive oil, garlic and thyme in a mixing bowl. Toss the parsnip strips with the olive oil mixture until well coated. Spread the fries onto the nonstick countertop oven pan in a single layer. Sprinkle with salt and pepper.